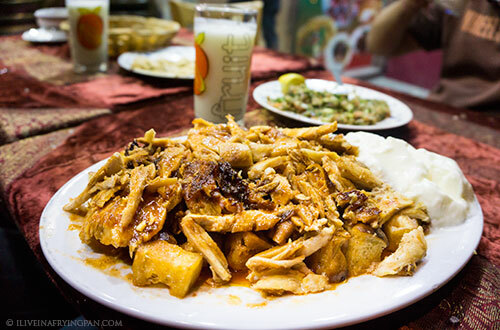 The first time I sunk my teeth into the Tonbik Shawarma, the saucy swirl of condiments and crunchy cabbage and tender chicken and plump grease-sodden fries awoke the sleeping endorphins in my blood stream. This was not sophisticated food. I didn’t feel particularly proud as I contemplated whether the ketchup in the sandwich was Hunt’s or Heinz. Most likely Hunt’s, it had the sweetish runniness that felt you’d never squirt out of a more tart-tomatoed Heinz bottle. 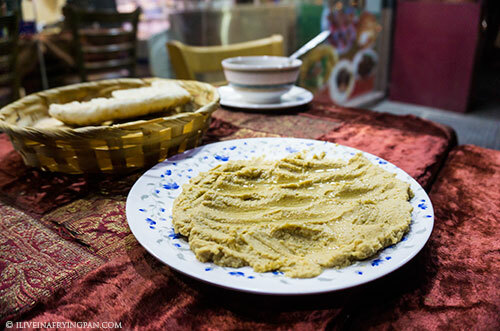 I was surprised that someone would pair ketchup with toum, the creamy garlic oil emulsion smeared across every decent shawarma in the city, and shocked that my body was enjoying it. The sandwich fell neatly into that category of comfort food which gives you a sense of childish unrefined pleasure, only faintly dampened by the greasy guilt slithering down your arteries. You won't be judged in my books if a satisfied sigh escapes your lips as you scarf down oily fries and chicken stuffed into the sauce-slathered mouth of a toasted bun. Only because I did too. Layali Istanbul doesn’t aspire to serve you the most regal of Ottoman delicacies. With a location in the armpit of Frij Murar, that little busy strip of road which closes off bachelor-dominated and spit-soaked Naif, it would be presumptuous to expect anything more. The restaurant is only 8 months old and with a hummus that tastes marginally worse than boiled mashed mealy chickpeas (take note of the grizzly offender below) I suspect that it's the greasy shawarmas that are keeping the place going. The menu is just a formality. Don’t let fancy notions of fresh-baked cheese pides and lahmacun under the ‘Bakery Section’ get the better of you. Said bakery does not exist. Nor must you assume that the ‘potato dish’ is anything more than a bowl of French fries. If you’re looking for meaty options on the shawarma, take note that they have only two kinds - chicken shawarma, and chicken shawarma. A second shawarma spit clearly demarcated for a meat shawarma stands desolate, tempting meat-lovers with crazed notions of a lamb shawarma that is never to be. I will hand it to Layali that they do a mean Ayran. Smooth, light, buttery and slightly salty, this buttermilk is a refreshing way to de-grease your gullet before the next ketchup, garlic and grease-slathered bite of chicken shawarma. 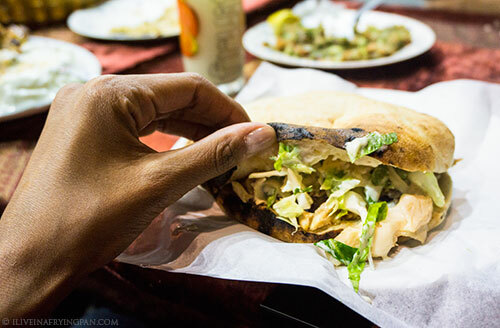 Layali Istanbul does chicken shawarmas, and that’s what it does. Most of the people who’d walked in seemed to get either the lean chicken shawarma wrap or the chunkier option, smacked into a nice crisp pita-bun-hybrid. I’ve also tried their Iskender Kabab plate, which is meant to be served with strips of lamb but is substituted with the fast- (and only-) moving chicken, a blasphemous poultry twist to a revered Turkish dish. The Iskender plate is not something you run to on a ‘cheat day’ of your week, but rather, a ‘cheat year’ of your life. The magnanimity of the crime dawns on you only after you stare back at your reflection in the empty plate, a guilty face looking murky and orange in the stagnant oil spill left behind after you committed the sauce and butter-soaked soaked sin. Layali’s version of Iskender is far from being culturally authentic – there are other places in Dubai with the ‘right’ version of Iskendar kabab – but I personally found it quite hard to push aside Layali’s version on grounds of failed authenticity. Strips of shawarma and spongy cubes of pide bread are baked in a cinnamon-fragrant tomato sauce with a wobbly dollop of yoghurt on the side. 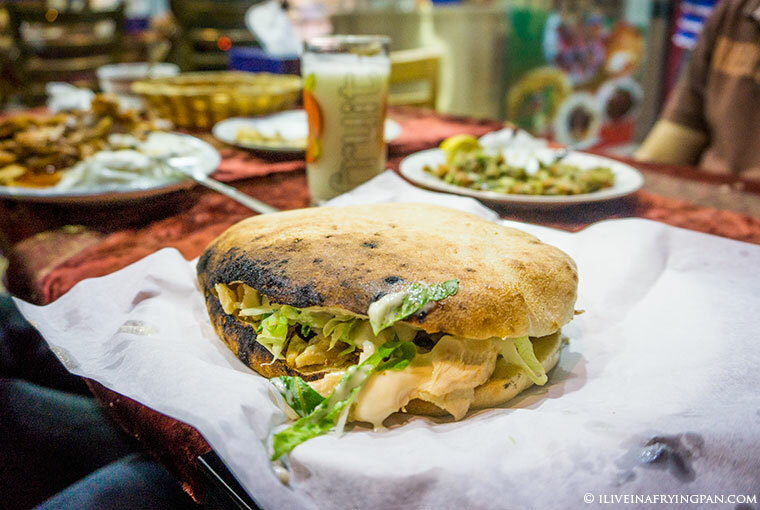 The butter and cinnamon soak the pide chunks through and through, such that every bite of shawarma is alternated with a bread cube that brings you dangerously close to a sweet pancake or French toast. 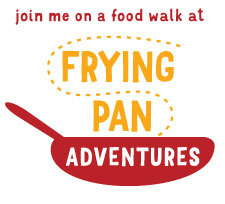 The dish is strangely and criminally addictive. I’m sure one can venture past the shawarma spit, but vegetarians beware, unless a bowl of French fries dipped in ground gritty chickpea paste catches your fancy. There are a few kabab and ‘meat in paper’ options which might hold potential, but I’ll probably need a good artery-cleanse before I return to try the rest of the menu. Frij Murar, opposite Hyatt Regency, at the end of the block after KFC to your right. Refer to my google map for more exact coordinates. ← Older: Tahtah Malleh – Preserved fish and rice made by the gifted hands of an Emirati mother. I’m always on the lookout for a good sandwich. 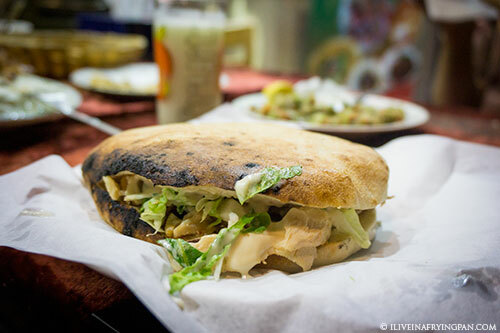 Good ‘cold sandwiches’ are pretty much a nonstarter around these parts, but I have had some of the best ‘hot sandwiches’ I’ve ever had in and around the UAE. Unfortunately, my go-to place shut down last month, so I’ve been searching for a replacement. I will definitely give the Tonbik Shawarma sandwich a try soon. If you like this Turkish-style of shawarma, I can recommend an oddity that recently opened in Business Bay. Weirdly, it’s a German-style Turkish sandwich, but since there is a huge Turkish community in Germany, and I have enjoyed similar sandwiches in Germany (which were mostly very good), I personally consider this style a genuine sandwich style. It’s just a little strange that it is now being exported to countries with their own shawarma sandwich styles. The place is called Döner Kebab (don’t worry, it doesn’t have much in common with the British late-night snack) and it’s located in the difficult to find and difficult to get to Churchill Tower. I like the chicken, but they also have ‘meat’, which they call veal. It’s stuffed into a unique and very suitable bread (choose the standard bread) and filled with a ton of veggies. There are a few other Turkish items on the menu (and some German items too! ), but I have only tried the sandwich. They have other branches in JLT and Mirdif, but those are too far away for me.